Priory School is one of the first special academies in England dedicated to the education of young people with complex moderate learning difficulties. There are 130 young people at the school between the ages of 9 to 18 years. The school was recently inspected by OFSTED and achieved an “Outstanding” grade for both the school and residential department. This is a testament to the hard work of all of those involved with the school. The school was suffering from poor and outdated fluorescent lighting that was producing insufficient out-put. Frequent lamp failures created inadequately lit classrooms as well as high maintenance costs. The high wattage of the old lamps and the fact that many were left on unnecessarily made them very costly to run. In addition it was felt that lighting flicker, due to the lamps age, was distracting to both pupils and teachers. After researching the advantages of LED lighting, Priory Academy decided to replace their existing fluorescent fixtures with the highest performance LED products manufactured by Luceco Ltd. 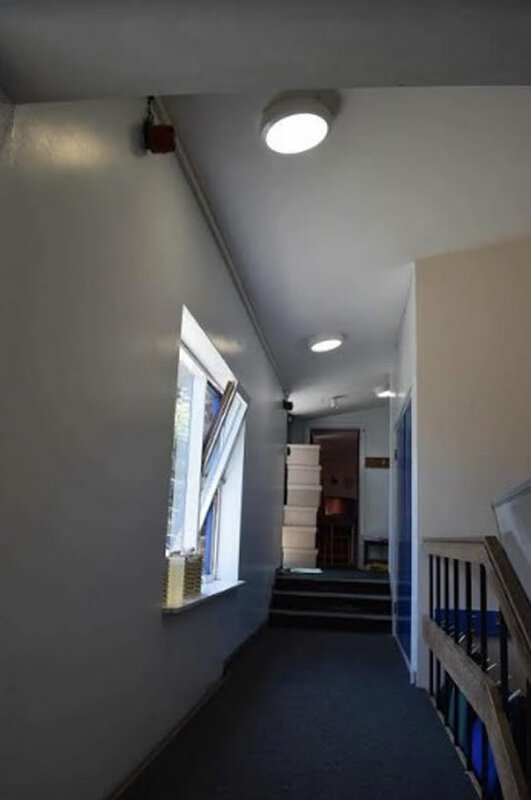 The money to fund the new lights, was already in the schools budget and being spent on wasted energy. 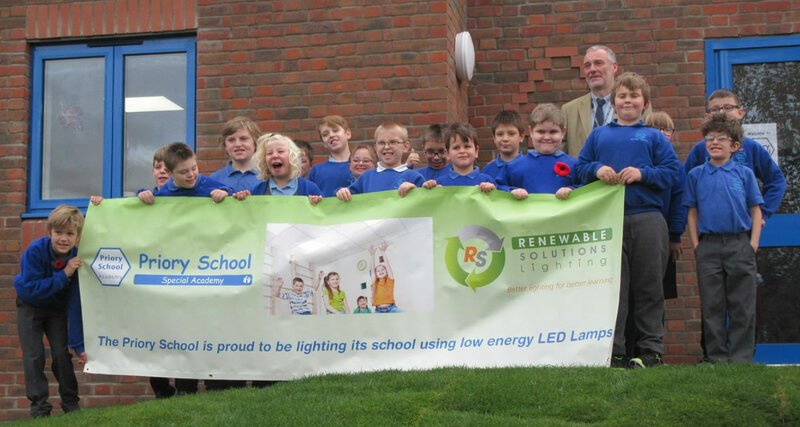 The School lowered energy cost by 60% and zeroed ongoing maintenance costs, allowing the school to fund the new lights using a Department for Education approved Operating Rental without increasing expenditure. The school now has new LED lighting throughout the building keeping class-rooms properly lit. Sensors in common and closed areas add to the savings and the whole school has a brighter and more up to date feel. 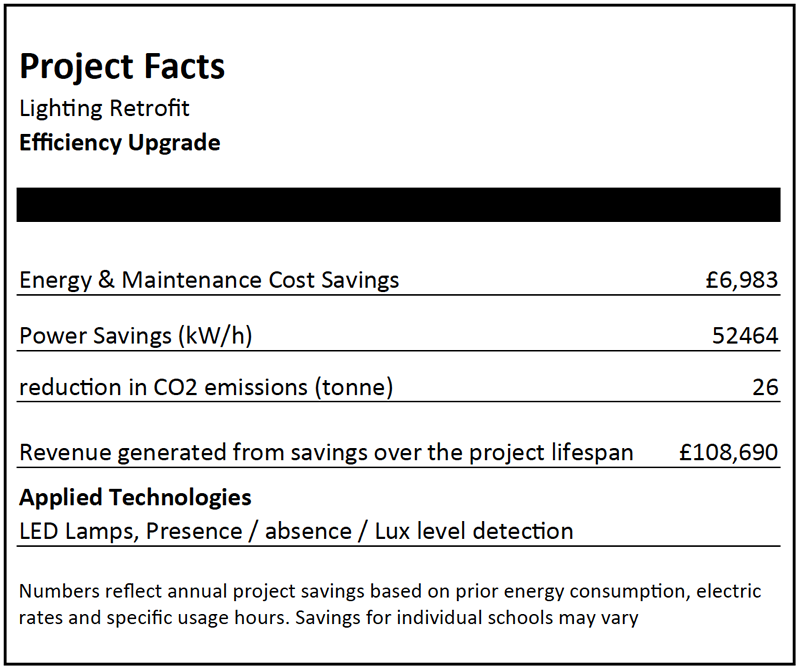 With over 550 LED lamps installed, Priory Academy now has improved classroom lighting, reduced energy con-sumption by 60% or £6,983 per year and requires zero hours of maintenance time changing lamps. On behalf of the pupils and staff here I wanted to thank RS Lighting for the manner in which they have installed our new lighting system. They were fantastic, always pleasant and very professional. It has been a pleasure having them on site. We look forward to working with them again.